Preppy pups love polka dots. This sweet girls dog collar will put a little pep in your pup's step. 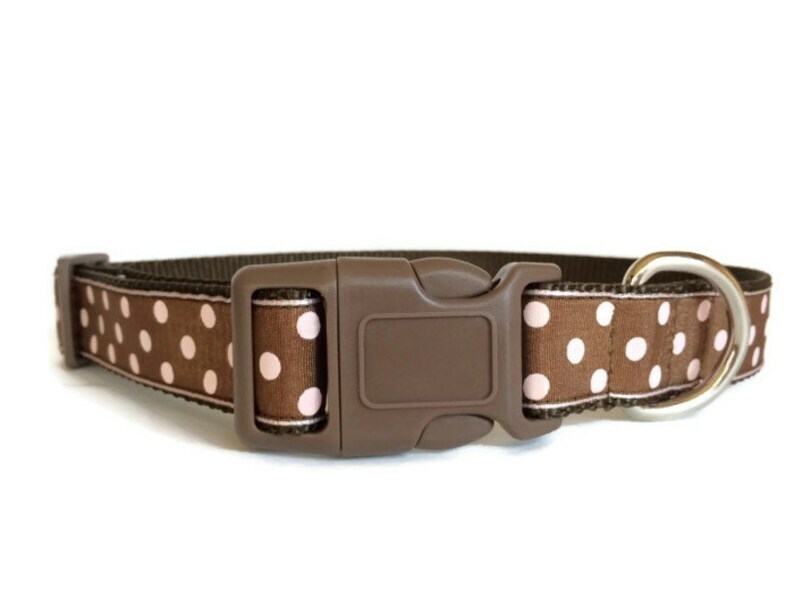 This collar is made with Brown and Light Pink Polka Dot grosgrain ribbon that is attached to brown heavy-duty nylon webbing using interfacing and high-quality thread (triple sewn on pull-points). The hardware is plastic (a contoured, quick-release buckle and slip-lock) and a welded nickle D-ring.